Global equities rose Thursday, with key Asian indexes gaining led by strength in Japan, thanks to a weaker yen and robust trade data. 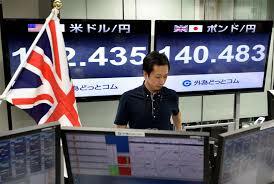 The Nikkei Stock Average NIK, +0.66% was up 0.4% in early trade, on track to post another two-decade high. The yen’s 0.7% drop overnight against the U.S. dollar helped lift exporters, with auto makers rising about 0.7%, while insurance firms notched gains of more than 1%. Japanese gains were aided by data showing Japanese exports rising for the 10th straight month in September, helped by a weaker yen and strong overseas demand for semiconductors. Still, analysts expect equities trading to remain cautious this week during China’s Communist Party congress. Economic growth data is expected from China later Thursday. “Markets are going nowhere” and some positive data would help them gain some confidence. Of importance would be the Chinese economy’s ability to touch the 7% growth rate in the second half of this year, as mentioned by central bank Gov. Zhou Xiaochuan. Expectations are that Chinese economic growth slowed to 6.8% in the last quarter, according to a survey of economists by The Wall Street Journal. Elsewhere in the region, Australia’s S&P/ASX 200 XJO, +0.12% was up 0.2% with gains limited by a weakness in metal prices and mixed third-quarter earnings from oil and gas companies. Santos STO, +1.18% was up 1% on a strong quarter while Woodside Petroleum WPL, -1.88% ost 1.8% as revenue missed some estimates. Korea’s Kospi index SEU, +0.00% was flat as was the Korean won, after the Bank of Korea left its key policy rate unchanged. “With the economy performing relatively well but inflationary pressures subdued, we don’t think the central bank will be in a rush to adjust policy anytime soon,” said Shilan Shah, an economist at Capital Economics.